Miracle on 34th Street is a classic Christmas movie, and with good reason. The film takes place between Thanksgiving Day and Christmas Day in New York City. It’s focused on the impact a department store Santa (who claims to be the real Santa) has on everyone around him. The sets of the film are decked out with Christmas decorations and holiday cheer. The characters talk about Christmas and the central drama of the film is Christmas, Christmas, and more Christmas. Modern viewers that sit down to enjoy the film around the holidays might be rather surprised to find out that despite the Christmas through-and-through theme of the film, it was originally released to theaters in early June. At the behest of 20th Century Fox studio head Darryl Zanuck, the film was released towards the end of spring because he believed more people went to the cinema in warmer weather. 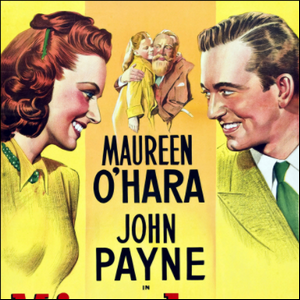 In order to keep audience members from being put off by the Christmas-in-almost-July vibe, the film was advertised as a love story with no emphasis on the Christmas elements at all. None of the original movie posters have even the slightest hint of the holidays in them. Zanuck must have been on to something because the plot to deceive audiences worked and the film did quite well at the box office, despite being rather out of season.